PAM 8403 is a portable 3 watts stereo class d amplifier that uses only 5 volts D.C. to operate. 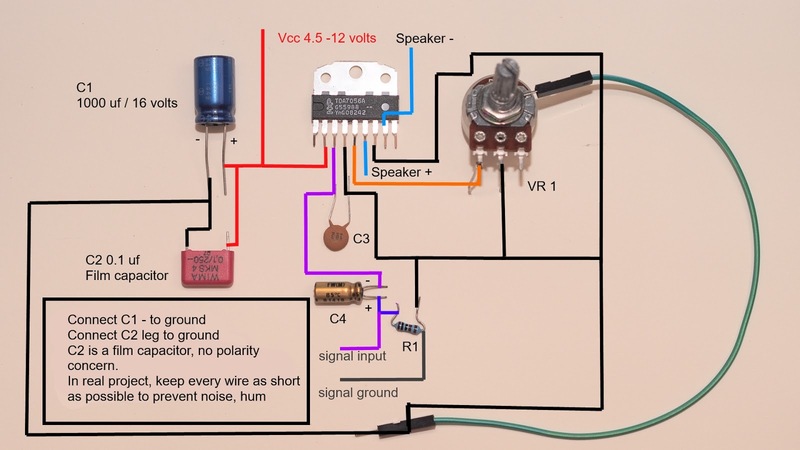 The amplifier board is easy to wiring and very small size, you can make a small amplifier project that not requires high voltages to work. 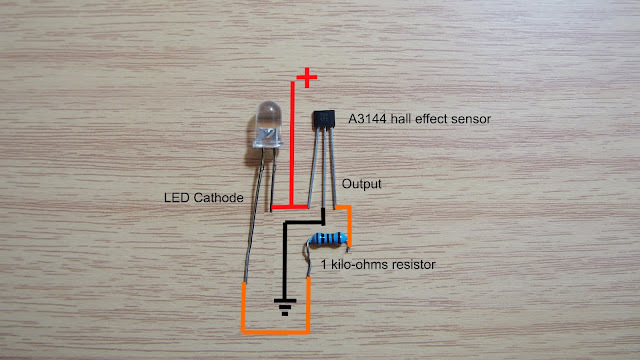 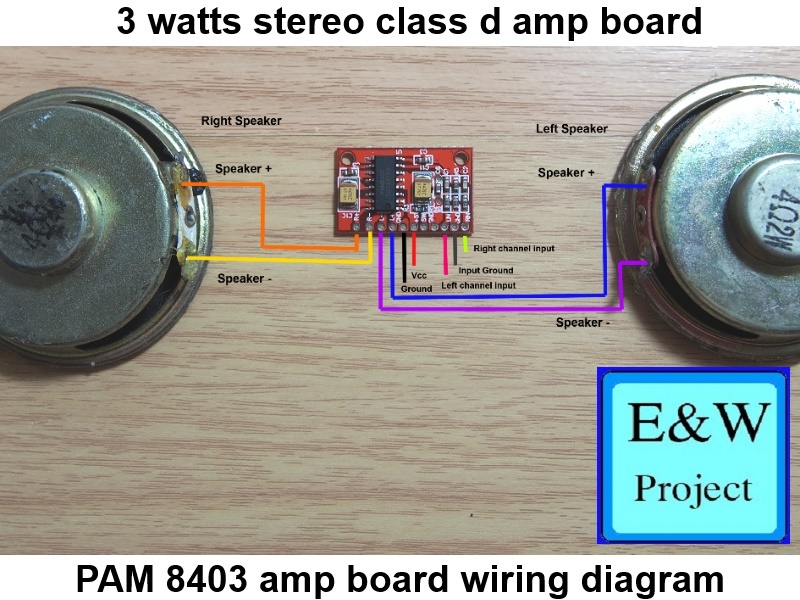 Today I will show you how to wire PAM 8403 board amp that easy to understand. 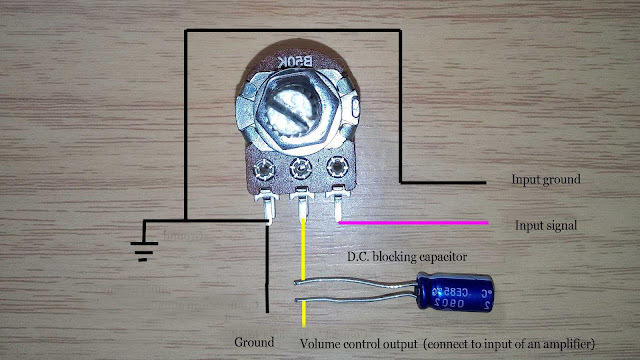 Let's see image below. 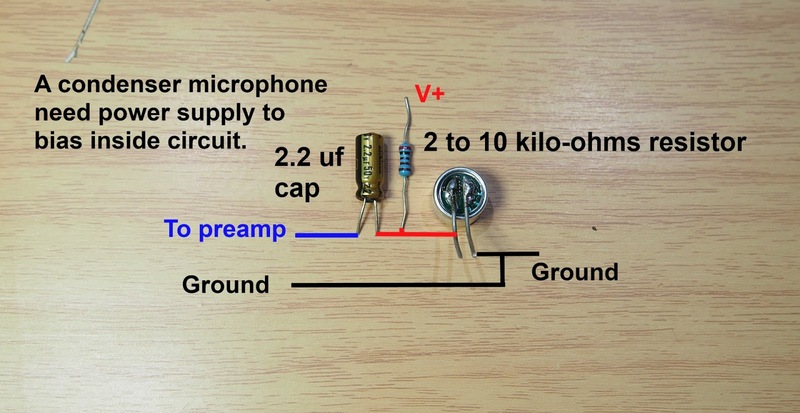 You can see that two speakers do not share output ground like normal amplifier because PAM 8403 is a bridge-tied-load amplifier, if each speaker wire touches each other the amplifier IC will shut down or damage. 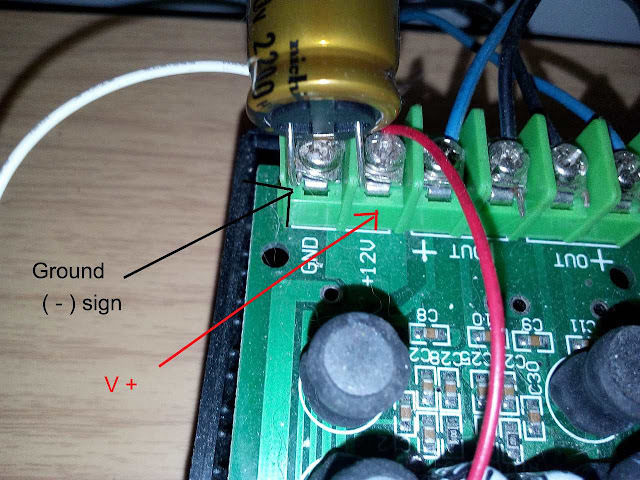 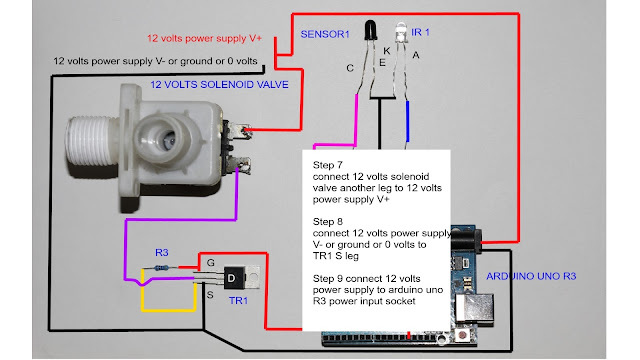 You also check that the right speaker + connects to R + sign from amplifier board and speaker - must connect to R - and check left speaker wiring too if you reverse speaker polarity you loudspeaker may produce less bass.